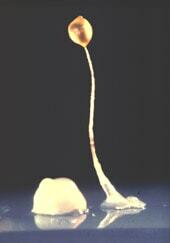 Dictyostelium Discoideum is a slime mold from the phylogenic order Ascrasiales within the phylum Myxomycophyta. What makes this mold very interesting from a scientific point of view is the fact that Dictyostelium Discoideum represents a junction between single and multi-cellular organisms. Being a meat eater Dictyostelium Discoideum grows vigorously as autonomous cells when, as a food source, bacteria are present. When the cells are depleted from the bacterial food source they join with other adjacent cells to form multi cellular structures. To survive this period of nutritional starvation Dictyostelium Discoideum may eventually form fruiting bodies containing spores to increase the rate of survival during starvation. The ability to select between uni-cellular and multi-cellular life forms makes Dictyostelium Discoideum and interesting model for cell-cell interactions and development. The genomic content of Dictyostelium Discoideum is four times that of Saccharomyces Cerevisiae with about 50 Mb of low GC DNA (20 %) localised at six chromosomes. Functional heterologous proteins are excreted into the media correctly folded and glycosylated. As a food source Dictyostelium Discoideum feed on bacteria. Escherichia Coli or Aerobacter Aerogenus are nutrional sources for Dictyostelium Discoideum. The bacterial cells are grown on the nutrient SM medium and Dictyostelium Discoideum feed on these bacteria. The mold cells, feeding and dividing on the bacterial layer, forms colonies of growing and dividing cells. As the colony grows, the local bacteria layer becomes depleted. Subsequently the individual slime mold amoeba join together to form multi-cellular structures and finally forming fruiting bodies. Within 3 to 4 days on SM medium, Dictyostelium Discoideum, starting as a uni-cellular organism, becomes a multi-cellular life form capable of making spores to survive starvation conditions. Some specific strains of Dictyostelium Discoideum are capable to grow axenically in a liquid medium without bacteria as food. 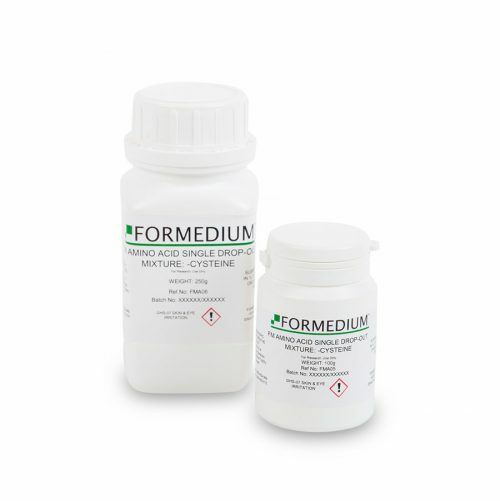 Two types of media are available for culturing Dictyosteliium Discoideum cells. Non defined complex media based on mainly Peptone and Yeast extract. Proteose peptone provides high molecular weight peptides and proteins as a nitrogen source. Yeast extract is a source of vitamins, co-factors and carbohydrates. Both components are often supplemented by additional buffers, Glucose and Magnesium. HL5 is a good example of a non defined complex medium routiniously used in the lab for culturing Dicty. Synthetic defined minimal media such as FM medium and SIH medium are based on a well defined composition of mineral salts, vitamins and amino acids. 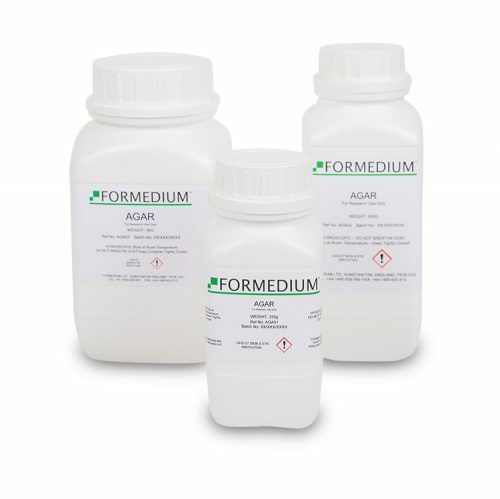 FM medium supports the growth of most strains that are capable of growing on HL5. 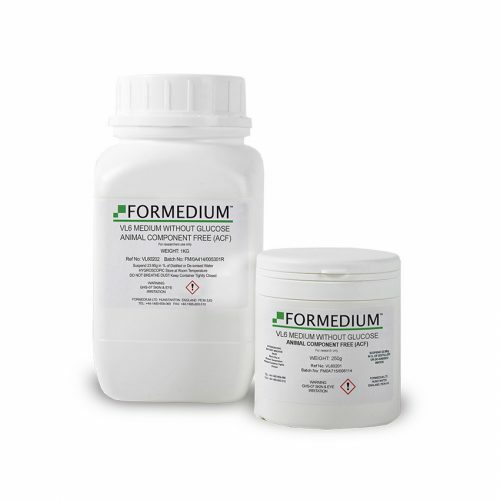 The medium developed by Franke and Kessin is used for transformation of Dictyostelium Discoideum and genomic studies. 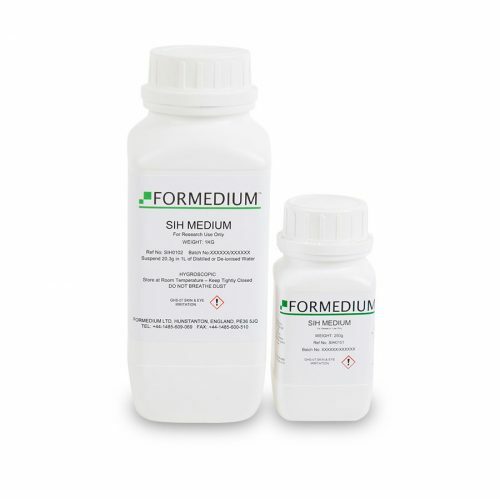 SIH is a newly developed modification of FM Medium. Aspartic acid is added. Tryptophane and Lysine concentrations are significantly increased, resulting in an increase of cell density up to 5 x 10^7. 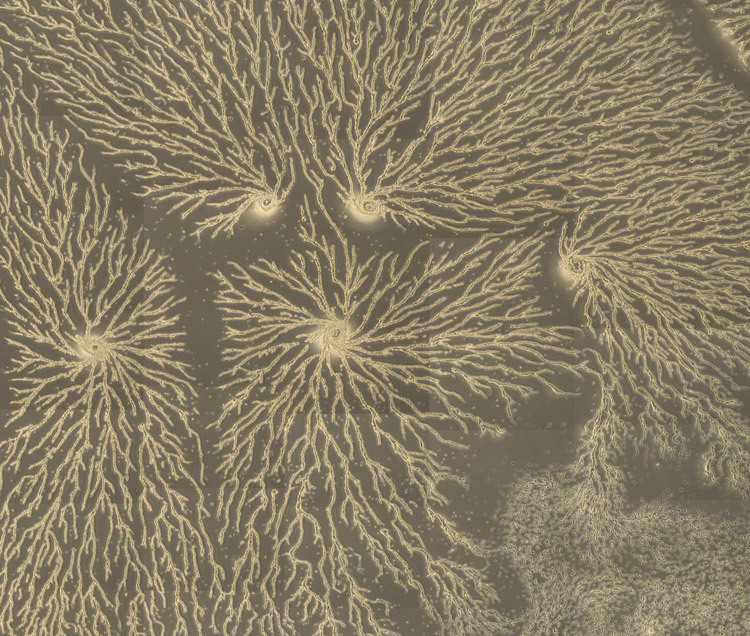 Phase constrast image of a large field of aggregating Dictyostelium cells. The mound & fb, shows a mound of cells on the left (about half-way through the developmental cycle) and a mature fruiting body on the right. 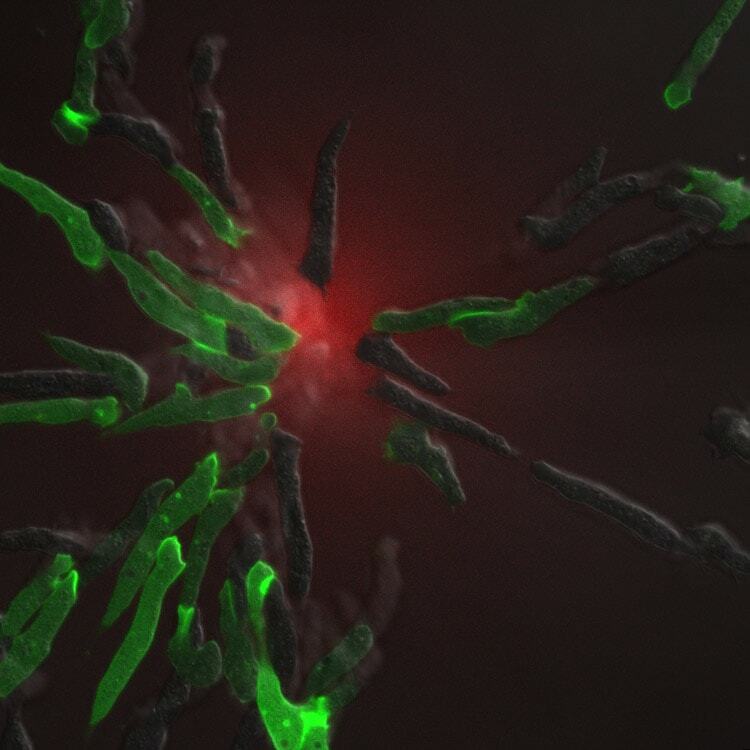 Confocal / DIC overlay image of a group of Dictyostelium cells chemotaxing towards a source of chemoattractant in the center of the field.